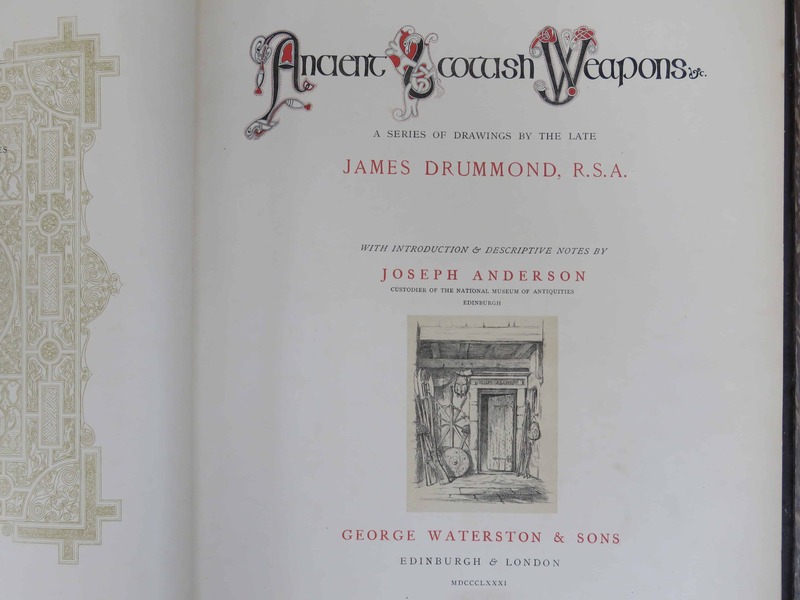 James Drummond’s “Ancient Scottish Weapons” published by George Waterston and Sons, Edinburgh and London, 1881. 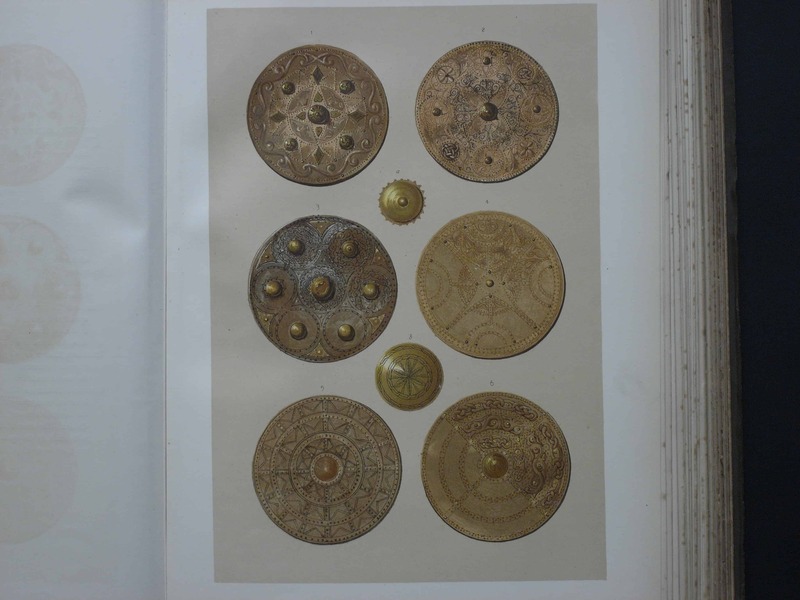 Only 500 copies of this work were published. 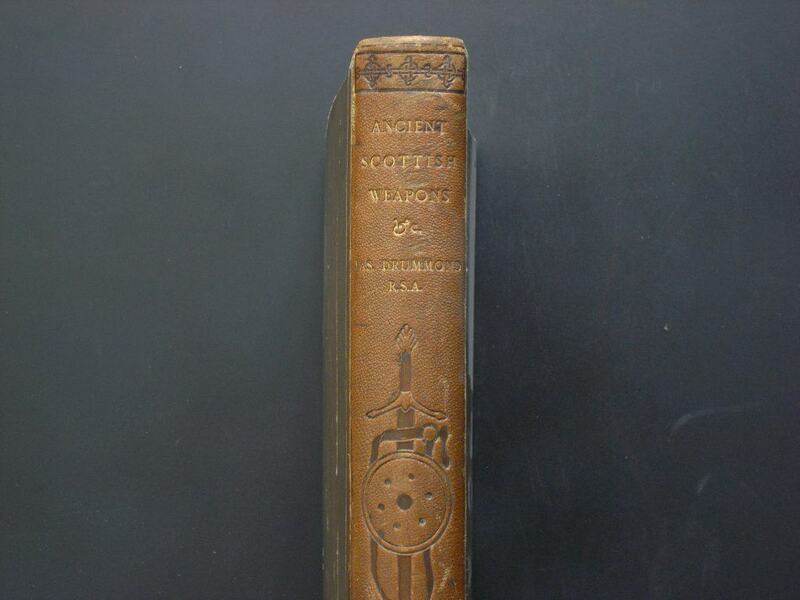 The volume is bound with a leather spine and a cover in quarter morocco and cloth. The binding is tight with slight wear otherwise in good condition. 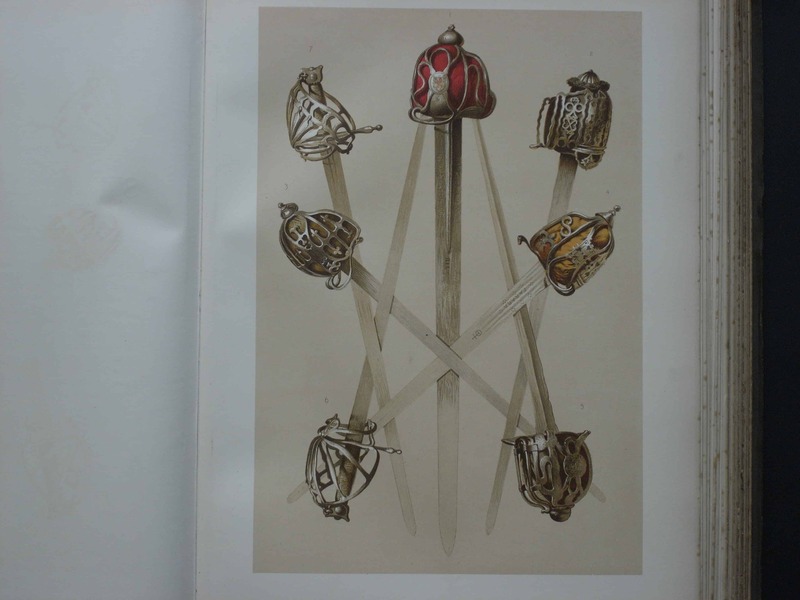 This series of drawings and watercolours by Drummond was one of the first attempts to catalogue the uniqueness of traditional Scottish weapons and to bring attention to them as a separate subject of study in their own right in the late 19th century. 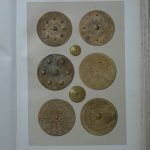 Fifty four colour plates show detailed sketches of Scottish dirks, two-handed swords, basket-hilted swords, Lochaber Axes, targes, pistols and powder horns as well as culturally unique examples of Highland craftsmanship illustrated in plaid brooches, sporrans, harps and bagpipes. 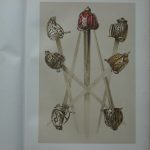 Many of the items in the illustrations are recognisable in public collections today such as the National Museums of Scotland in Edinburgh. 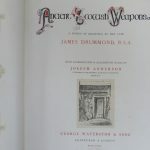 The location of others were known only to Drummond. This is a large folio measuring 12.5 inches (32 cm) by 16.5 inches (42 cm).